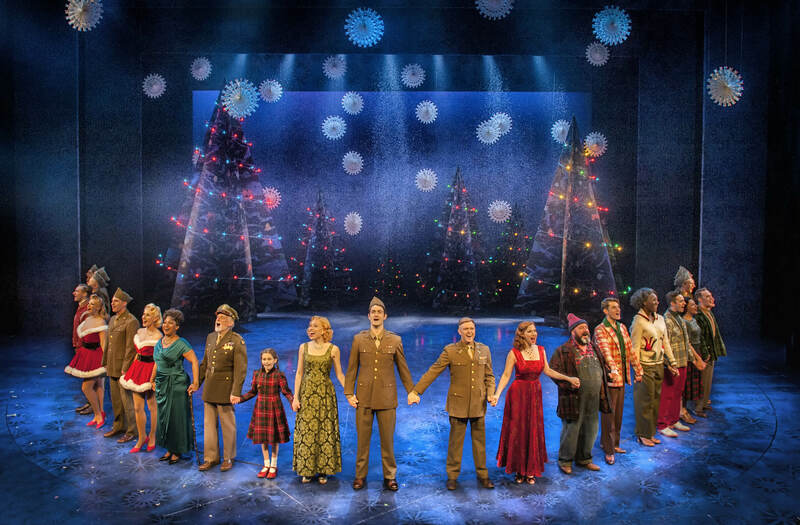 Northern Soul’s Rich Jevons talks to prolific and diverse director Nikolai Foster about his hit show White Christmas at the West Yorkshire Playhouse, and forthcoming tours of Calamity Jane and Beautiful Thing. Nikolai Foster didn’t always want to work in theatre. Growing up in North Yorkshire, as a teenager he wanted to be a jockey. But joining the school drama group gave him the confidence to cope with being badly bullied; and seeing an eclectic mix of shows at Bradford’s Alhambra Theatre led to his desire to be an actor. 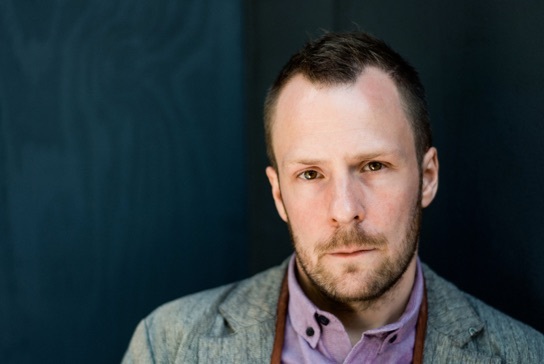 It was only at drama school that he decided directing was for him, so he entered the Channel 4 Theatre Directors’ Scheme at Sheffield Theatres. Recently appointed as the artistic director of Curve Theatre, Leicester (a role he will take up in January 2015), Copenhagen-born Foster has followed the critical and sell-out success of Annie (which he innovatively re-approached with West Yorkshire Playhouse in 2011) with an original staging of Irving Berlin’s White Christmas. The initial spark for this undertaking came some ten years ago when Foster was assistant director at the Crucible Theatre in Sheffield. “I remember a colleague talking about this wonderful film White Christmas and I’d never seen it. So I took myself off and watched the movie and thought it would work beautifully on stage. What appealed about putting on a show for the festive season? “I have great respect for the American musical as an art form and I think musicals are a great way of bringing all kinds of people together. This story of soldiers coming back from war and finding their place in society and a purpose in life, that’s all very relevant. “Also, there’s the story of putting on this show in order to regenerate and revitalise the hotel that their old army general is now running in order to get his business booming again. I felt that was a good story to tell especially at this time of year because it’s a dysfunctional family in this case and it shows people coming together to put on this show. Foster brings together a creative team led by Annie choreographer Nick Winston, Tony Award-nominated designer Matthew Wright and Tony Award-nominated orchestrator Jason Carr, whose fresh jazz-inspired orchestration of Berlin’s score – including Blue Skies, Sisters and the legendary White Christmas – will be performed by an onstage seven-piece band. “Matthew’s design is 1950s Americana graphic art which signposts all the locations that we work through. 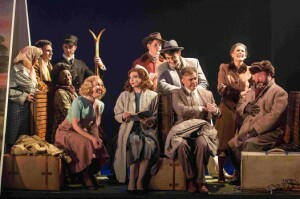 And the orchestration is brand new with an in-house band playing the jazz-inspired Irving Berlin songs. One thing you always wonder with a director as diverse as Foster is whether he has a different approach for musicals compared to, say, serious plays. “That’s an interesting question. I approach them in very much the same way. I think people think of musicals and plays being opposite things but essentially they’re both theatre that tell stories and deliver narrative in a variety of different ways. 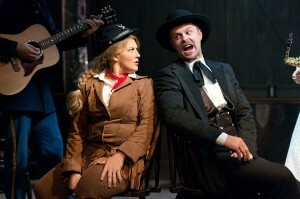 Whether it’s through dance, songs, music or spoken word or a combination of all those things, in the case of a musical. 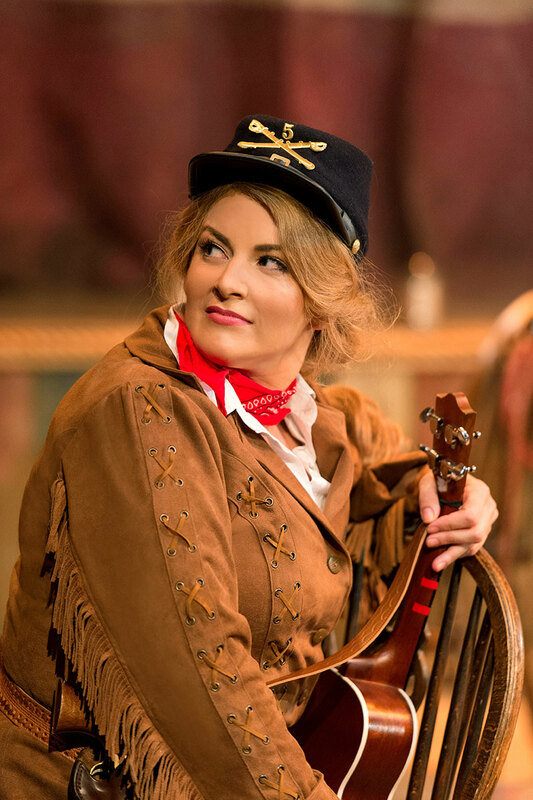 “So the integrity and grit and the desire to get into the underbelly of a play is the exact same objective as I have with a musical. There are technical differences like when you are in rehearsal and you have to give over your entire first week for the actors to learn the harmonies of the music and the beginnings of choreography. 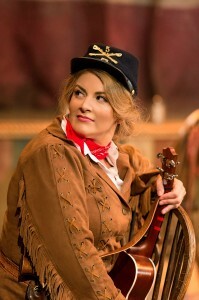 Similarly, Foster has taken on the adaptation of Calamity Jane which tours next year. “To begin with when producer Jamie Wilson suggested it my heart sank, I thought it was an old potboiler of a thing. And actually the film is so beautiful and gracious and Doris Day is captured in that iconic and breathtakingly brilliant performance. So why on earth would you try and do it on stage? “Having seen Ed Curtis’s 2003 production with Toyah Willcox, I thought the script was not very good and didn’t offer anything up that is better than the film. Then we were given permission to really look at the script to make it feel fresh and contemporary. Crucially we cut out all the racism, the way the indigenous Native Americans are dealt with stereotypically. 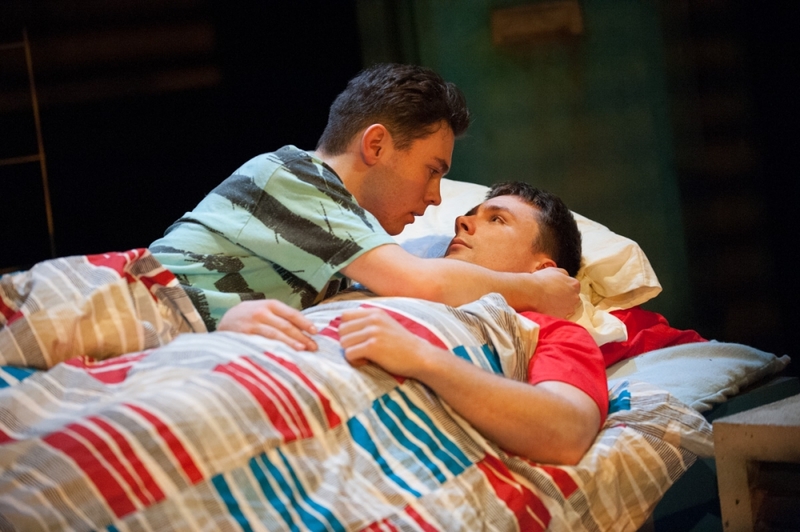 Another strong message – a counterblast to contemporary homophobia – is to be found in Foster’s direction of Jonathan Harvey’s Beautiful Thing.